No matter what industry you’re in, there is always electrical/electronic enclosures and cabinets along with the machinery and other ancillary equipment that independently or together contribute to complete a process efficiently. Some of this equipment is designed to run automatically controlled by a PLC and other automation equipment depending on existing conditions in a production line or process. Other equipment requires occasional and sometimes constant intervention from a human operator. Equipment failure or malfunction protection is very important to prevent harm to operators, reduce costs to replace damaged equipment/devices, and prevent losses from production delay costs. Investing in the right safety equipment and devices will more than pay for itself by protecting personnel, prolonging equipment life, and reducing costly down-time. These big savings are even more noticeable when you find the right equipment at the best price while also saving in other costs like technical support, shipping costs, fast delivery, warranties and more. This is why AutomationDirect works so hard to provide the best prices in the industry for the best quality products, along with award-winning FREE technical support, a vast library of training videos and documentation, the best customer service in the industry, FREE and FAST 2-day shipping for orders $49 and over, and 30-day money-back guarantee on practically every product we sell. 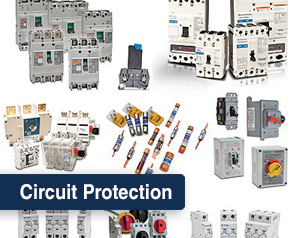 Go ahead, we invite you to check out our videos, blogs, documentation and more for our enclosures, pilot devices, safety switches, circuit and surge protection devices, and so many more products that help you protect your equipment and personnel. Looking for even more content? Click on our Product tab to see more articles on equipment safety! What Type of Circuit Protection Do I Need?